You are looking for foam at an affordable price-visit us! Our company delivers polyfoam at the price of the producer. 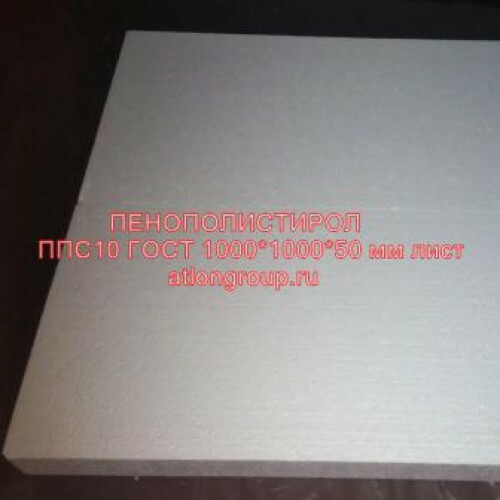 Foam PS 10 GOST 1000h1000h50-is not the most expensive insulation of polystyrene produced according to GOST. It can be used in the middle layer of building structures for various purposes. From inside in premises, premises of temporary residence, outbuildings. We will provide special prices to professionals. Price per piece: 86 rubles. Foam should be protected from prolonged exposure to the sun!